The April 2018 Update (version 1803) will be rolled out in a few weeks from now. The April 2018 Update is a feature update for Windows 10, meaning it includes new features, capabilities, and fixes. When Microsoft rolls out a feature update to Windows 10, the update is rolled out in a phased manner, meaning that the update will not be available to everyone immediately. The update might take a few weeks of time to show up on your PC. Feature updates are first made available to PC users who have subscribed to Windows Insider program before rolling out to everyone else. So, feature updates are mostly safe to install immediately after the public release. That said, if you would like to wait and watch a few weeks or months before upgrading, you can block or defer the April 2018 Update on your Windows 10 PC. In Windows 10, there is a provision to defer or block feature updates. Using this provision, you can defer, or block April 2018 Update up to 365 days. Complete the directions given below to block or defer Windows 10 April 2018 Update up to 365 days. Step 1: Open the Settings app. 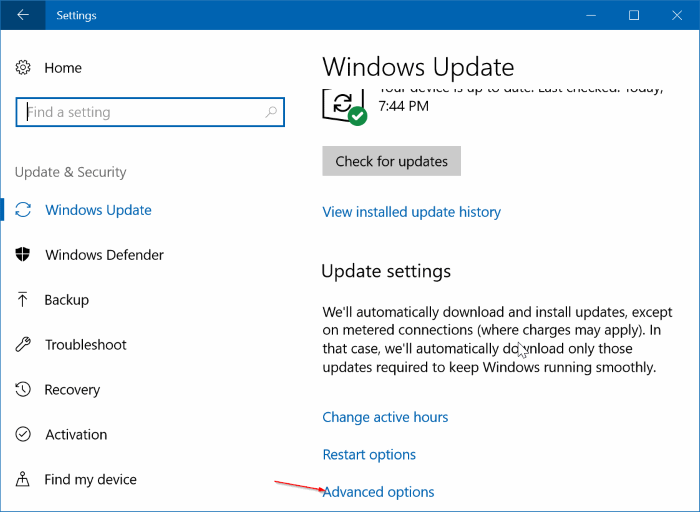 Navigate to Update & security > Windows Update. Step 2: In the Update settings section, click Advanced options link. Step 3: Scroll down to Choose when updates are installed section. Here, you will see “A feature update includes new capabilities and improvements. It can be deferred for this many days” option. Select a number between 1 and 365 to defer the Windows 10 April 2018 Update for that many days. For instance, if you choose 365, Windows 10 April 2018 Update will not be installed via Windows Update for 365 days on your PC. When you want to install the April 2018 Update, simply set back the value to 0 days. As you likely know, Windows 10 does not download Windows Updates over metered connections. You can defer April 2018 Update by setting your internet connection as metered. You can set both Wi-Fi networks and Ethernet as metered connection. 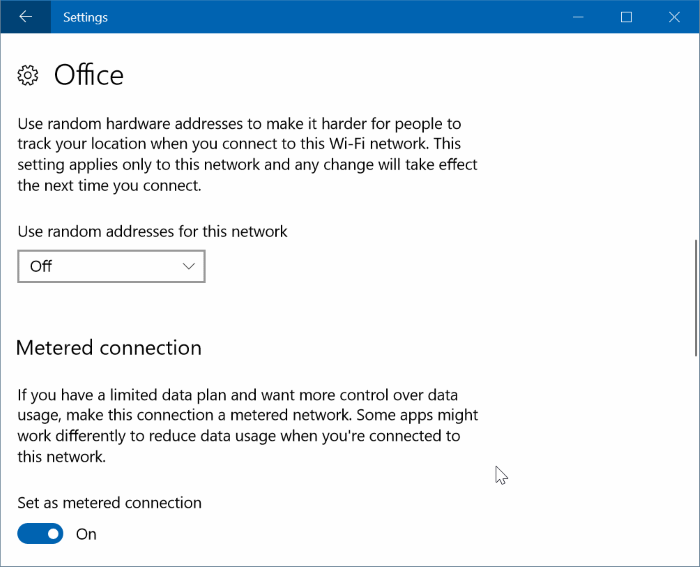 Refer to our how to set Wi-Fi as metered connection, and how to set Ethernet connection as metered in Windows 10 for step-by-step directions. 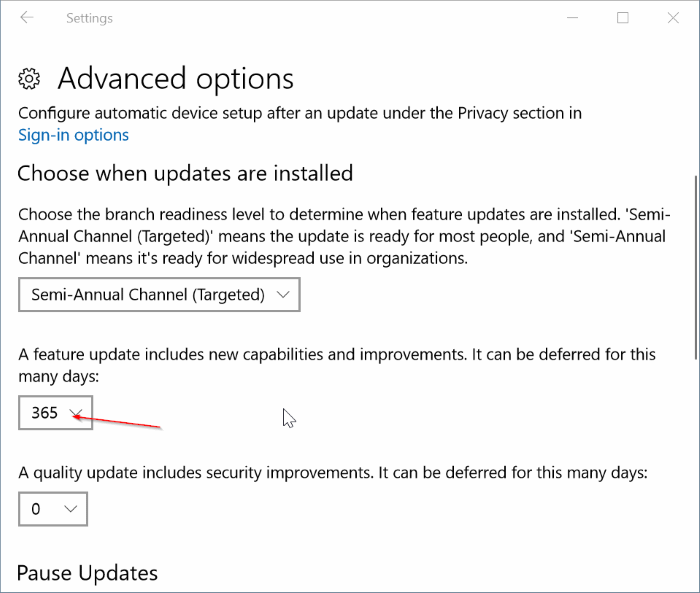 Note that Windows 10 might automatically download the April 2018 Update if and when you connect to a Wi-Fi network that is not set as metered on your PC. Of course, you can also disable the Windows Update service to permanently disable the Windows Update, but that is something which we don’t recommend. Following your instructions, I clicked on advanced options and all selections in the pane went dead. I have a win 10 operating system that’s just 10 days old.